Catherine has recently moved back to her native Devon after many years of living and working near the infant Thames in both Wiltshire and Gloucestershire. Her career as a teacher was short-lived and it is as a designer/maker in a variety of media, that she has been recognised. 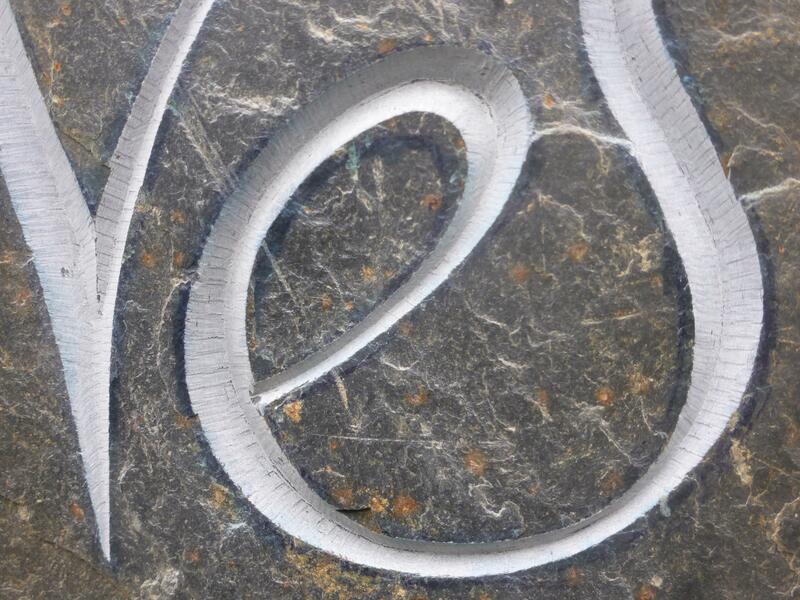 It was about 20 years ago that Catherine became ‘hooked’ on lettering in stone, combining both her love of drawing and sculpture This came about while seeking to commission a unique handcrafted family gravestone. She ended up carving the headstone herself! 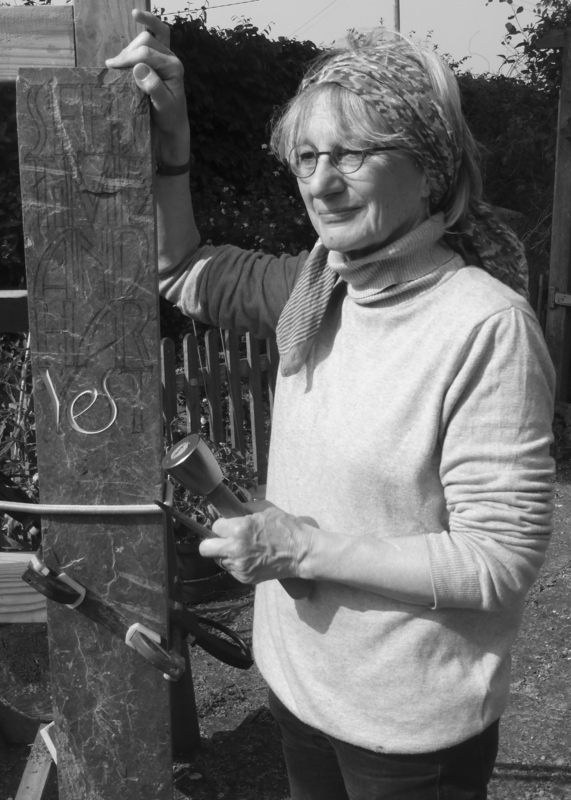 She enjoys all aspects of the process: borrowing or creating the words, selecting the stone, conveying the thought through the drawing and design and finally the ‘cutting’ (carving) by hand. Commissions apart, the stones are usually quarry ‘finds’ from which I will select interesting shapes and colours; slates, sandstones or limestones. 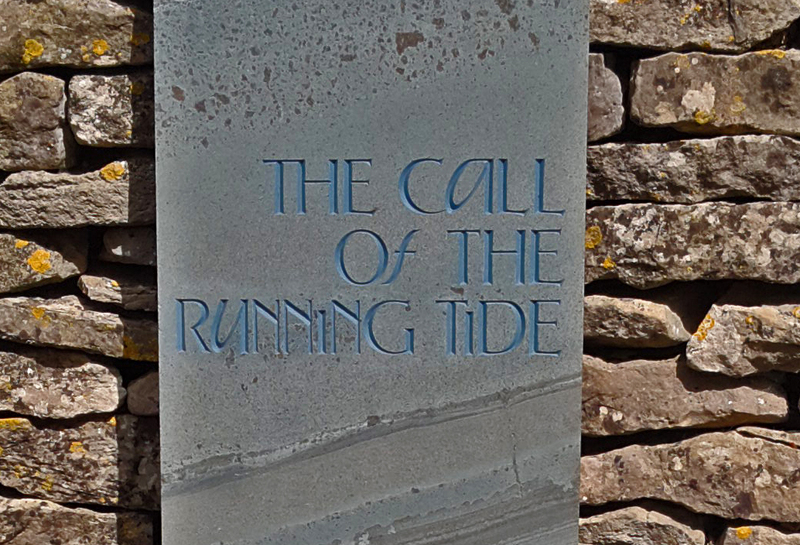 In turn, the stone will influence the words, usually ‘borrowed’, sometimes my own; then the hours on paper of designing letters to work with the space. The greatest influence on my creative work, and my well-being, is the sea and I'm naturally drawn to the Cumbrian green Slate. 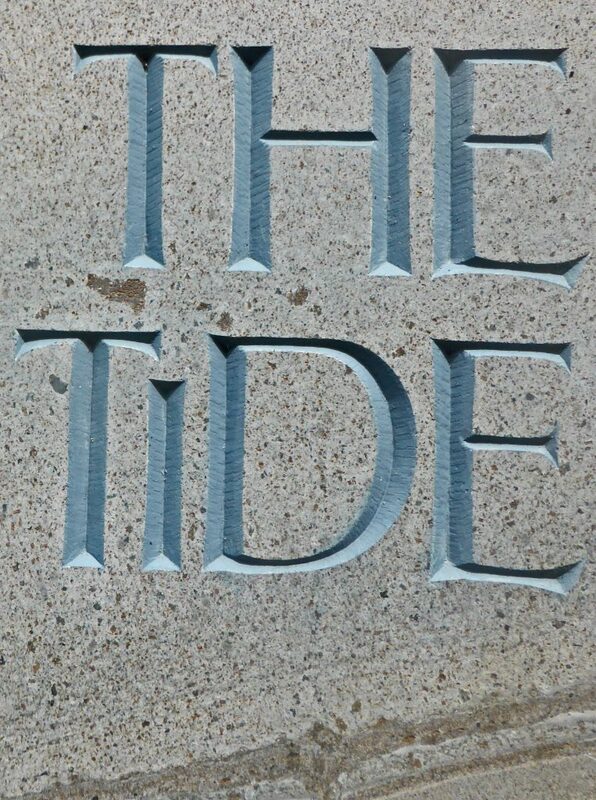 ‘The Running Tide’, words by Masefield, is such a piece. I am passionate about Handmade and to make marks I need no more than a pencil and a hammer and chisels for carving. It is important to me that meaning is conveyed using as few words as possible, in an original design and sympathetic material. The standing stone was designed to be placed in a border and the words are beginning to sprout!